KOER REPORT: Reaching the maxiumum height, this dry typey male is of good proportion. High withers, firm back, good position of croup. 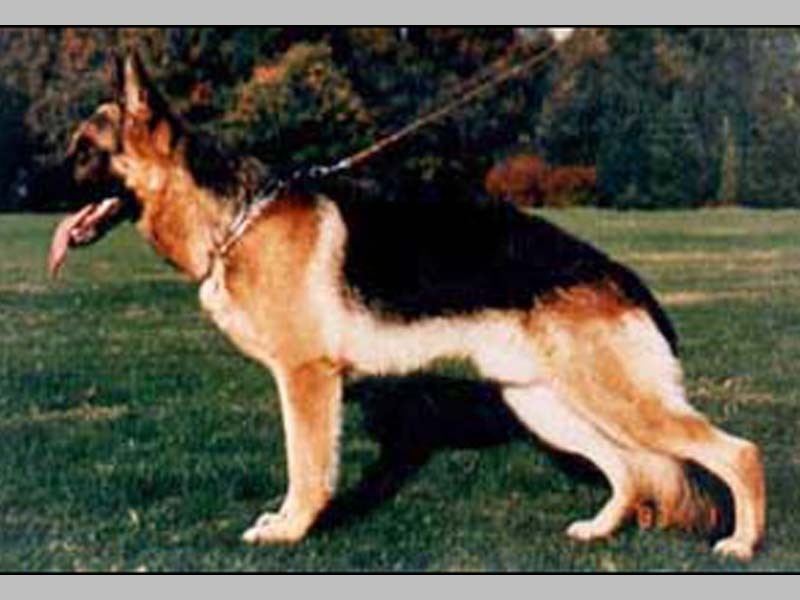 Front straight, chest proportions even, correct angulation of front and rear, broad formation of upper rear legs. Straight gaiting good ground coverage. Temperament sound, hardness courage and fightdrive pronounced, does out.